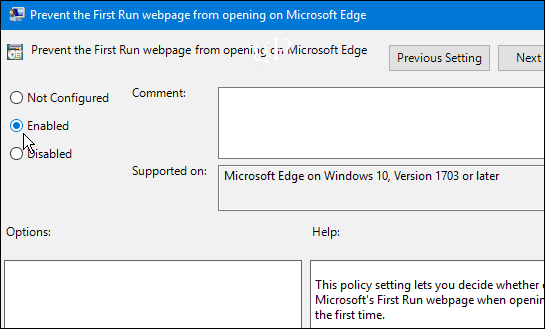 The “first-run welcome page” in Microsoft Edge appears the first time you launch Edge after a new feature update or Insider build. Here’s how to stop it. 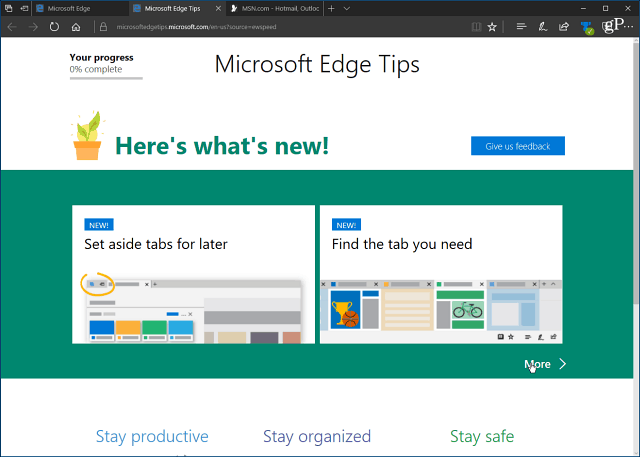 Beginning with Windows 10 Anniversary Update (version 1607), Microsoft Edge loads a welcome page the first time you launch it. The page shows you new features in the browser as well as tips on how to use it. While this “First Run page” can be helpful to new users, it’s annoying seeing it every time you do a clean install or get a new feature update. Here’s a look at how to stop the welcome page from displaying if you’re running Windows 10 Creators Update (version 1703) or higher. 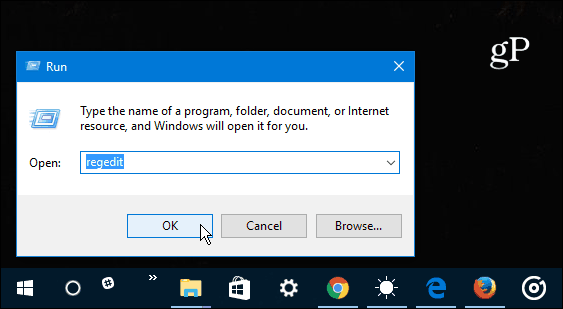 If you’re running Windows 10 Pro or Enterprise edition, you can use the following instructions with Group Policy. 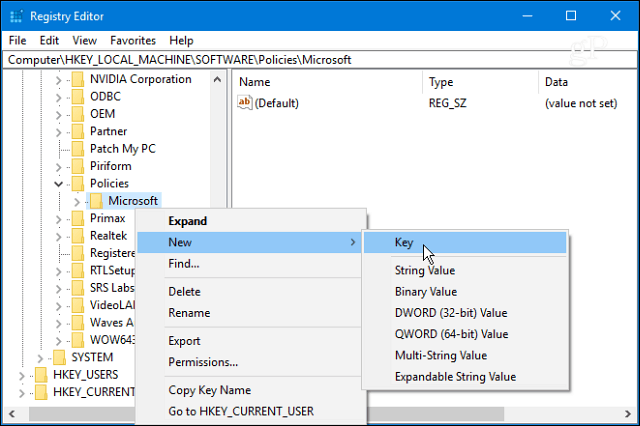 Use the keyboard shortcut Windows Key + R to bring up the Run dialog and type: gpedit.msc and hit Enter or click OK.
Double-click on the Prevent the First Run webpage from opening on Microsoft Edge policy in the right panel. Set it to Enabled and then click OK to close out of the Group Policy window. Windows 10 Home does not include Group Policy, but you can still kill the welcome screen by modifying the Registry. Note: Making changes to the Registry can be risky and isn’t for beginners. If you do something incorrectly, your PC can become unstable or stop working altogether. Always make sure to do a full system backup or create a System Restore point first. 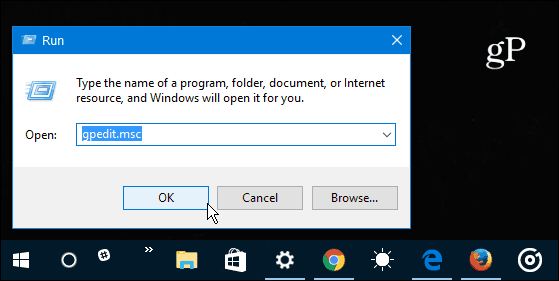 Hit Windows Key + R to bring up the Run dialog box and type: regedit and hit Enter or click OK.
Right-click the Microsoft key and select New > Key. Name the key MicrosoftEdge and press Enter. Right-click on the MicrosoftEdge key you just created and create a new key and name it Main. 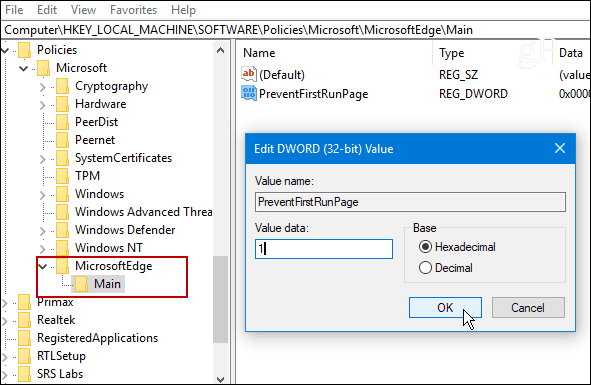 Then on the right panel of the Main key, create a new DWORD (32-bit) Value and name it PreventFirstRunPage and give it a value of 1 and click OK. 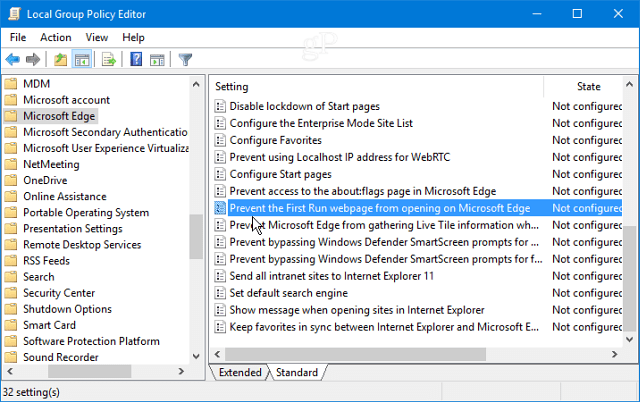 Whether you use Group Policy or modify the Registry, the next time you launch Edge for the first time after a new feature update, the browser will open to your selected homepage and not the first-run welcome page. This will work even if you’re part of the Windows Insider Program and install a new build of Windows 10. If you have any questions, leave a comment below or join our ever-growing community in the Windows 10 Forums! Can you please guide me how can I remove welcome first screen in the Windows 7? It’s really too annoying especially when someone is in hurry. Firstly, go to Control Panel > User Accounts. Thirdly, uncheck “Use the Welcome Screen” and click OK.
Lastly, restart your pc (or wait until you next log in) and the change should have taken effect. I protected my system by adding password in the Welcome screen but when I put the same password, it gives me an error. What should I do? Don’t know why my Windows 10 x64 Pro would display in Group Policy that method. Just no such like there. So used regedit. Could be because I had a monster crash/freeze other day whereby a fresh boot just showed a blinking cursor upper left corner like in DOS days. Had to restore C from a D backup and haven’t run Edge yet. Lot of my sites are demanding the re-enter of passwords now as LastPass took some kind of hit during all this. Sometimes site does have the user name but empty password. One bank acted like it was entering from a new computer. This is using Chrome, not Edge. Thanks for tip (s).